Manchester United are reportedly keen on a summer move for £40m-rated Leicester star Youri Tielemans to replace Ander Herrera. 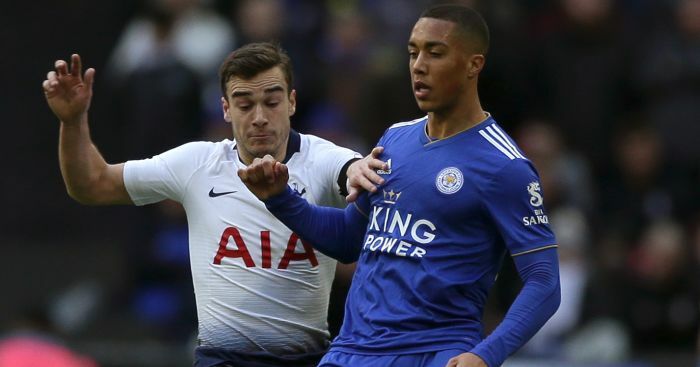 The Belgium international is on loan with the Foxes from Monaco until the end of the season and has been in fine form so far in 2019, scoring once and adding four assists. Leicester boss Brendan Rodgers wants to sign Tielemans on a permanent deal, however he faces competition from two Premier League rivals according to Belgian outlet Het Laatste Nieuws. They claim that Ole Gunnar Solskjaer has added the former Anderlecht star – who is valued at £40million – to a ‘long list’ of summer targets. It was claimed on Tuesday that Solskjaer will be without Ander Herrera next season, with the midfielder ready to accept an offer from PSG after being left ‘unimpressed’ by United’s offer of a new deal. Meanwhile, Spurs are also reportedly interested in Tielemans meaning Monaco could conduct a bidding war between the interested side. Leicester are believed to be in discussions with the Ligue 1 club already though, and they are hoping to use Adrien Silva as a makeweight in the deal, with the Portugal international having gone the other way in a January loan swap for Tielemans.